DOWNINGTOWN, PENN. — A Lancaster, Penn., Chippendale walnut dressing table was the $53,680 top lot of Pook and Pook’s April 14 sale featuring the collection of dealer Ruth Bryson. 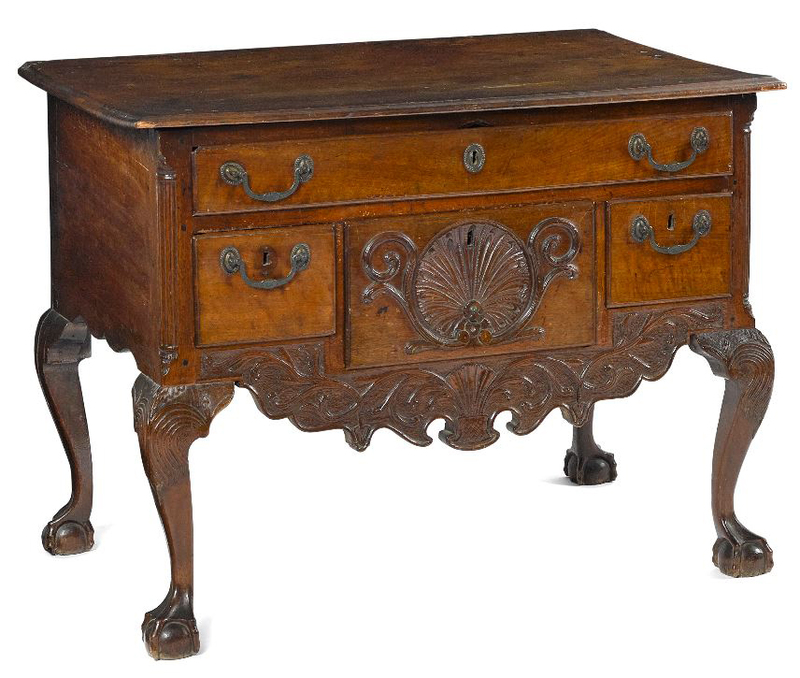 The circa 1770 table featured extensive carving, including a shell and spandrel carved drawer, a relief carved skirt and cabriole legs terminating in ball-and-claw feet. The table sold to Pennsylvania dealer Philip Bradley. The sale turned out a full house of dealers and area collectors who came to buy up an extensive collection of furniture and decorative arts with Lancaster County origin at its heart. Pennsylvania paint was well represented, with notable prices achieved for Jacob or Jonas Weber boxes, Compass Artist boxes and other painted furniture examples.